Pcomplete the membership fee and demographics ahead of time -- insurance coverage will happen the morning of the clinic. You will receive further details getting closer to it. In 2015, insurance coverage per person was $10 and we do not expect this to change significantly for 2016. STEP 1 - Registration Provide contact information and select your group. Open to women & junior boys and girls ages 9 and up. *All groups are now full* There is a wait list that you can register for by clicking the registration button below. If you are signing up for the wait list, do not proceed to step 2 unless you are emailed with a spot. 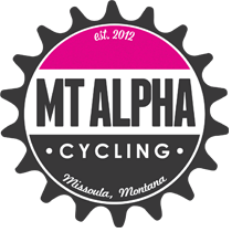 STEP 2 - Fee The fee for participating in our clinic is the cost of an MT Alpha membership via PayPal. Select the adult or junior (age 9-17) option. Becoming a member does not obligate you to MT Alpha in anyway. It will get you on the email list alerting you to group ride opportunities and other bike events throughout the summer IF interested (Select "Yes" on the registration form). This clinic is a 2 hour evening session in the Rattlesnake and is tailored to beginner and intermediate women, as well as junior girls. It is lead by our MT Alpha race team members. This clinic will be open to women of all levels but please keep in mind that Seeley's trails are mostly geared for beginner and intermediate riders. We will take you on the trails featured in the new Seeley 55/35/22 mile mountain bike race the following weekend.